October Days in the Northern Hemisphere is the harbinger of change. The leaves start to turn and the temperatures start to drop. October Days by Neia Scraps is the perfect kit for those glorious Autumn days! 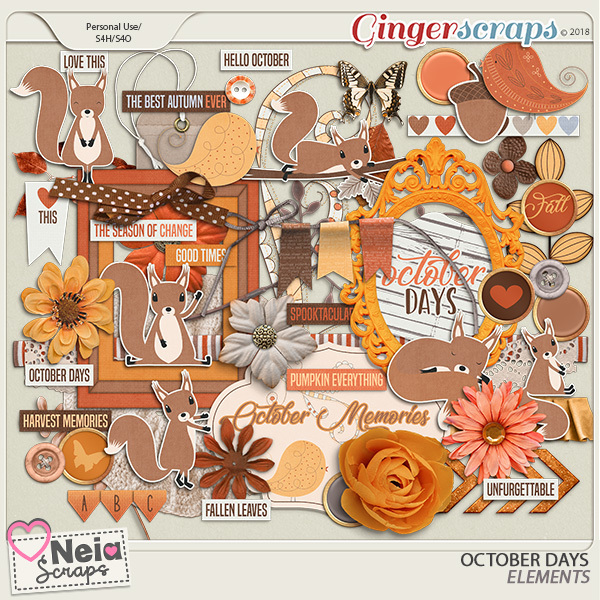 You will find the cutest little squirrels along with the pretties flora, the perfect elements, and the Autumn inspired papers for your scrapping your October Days and more!